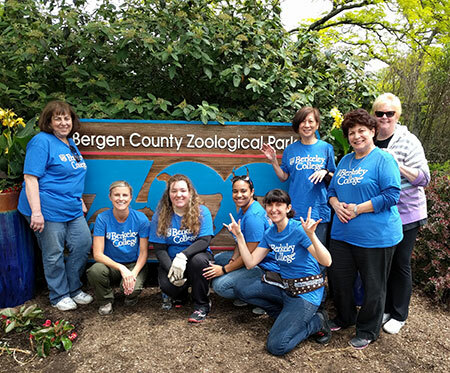 In Bergen County, NJ, Berkeley College volunteers participated in the Great Strides for Cystic Fibrosis walk on May 21, 2017, in Paramus, as well as worked at the Bergen County Zoo at Van Saun Park throughout the week. 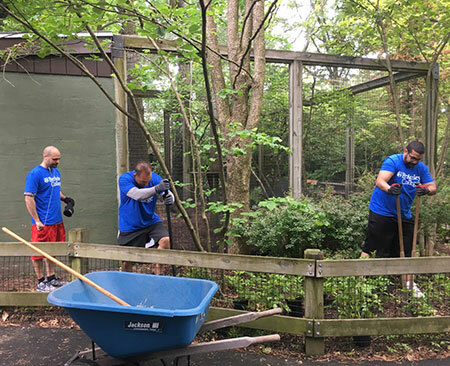 Photo Captions A and B: Berkeley College volunteers apply mulch and plant flowers at the Bergen County Zoo at Van Saun Park in Paramus, NJ, as part of Community Service Week, held throughout the week of May 21 to May 26, 2017. 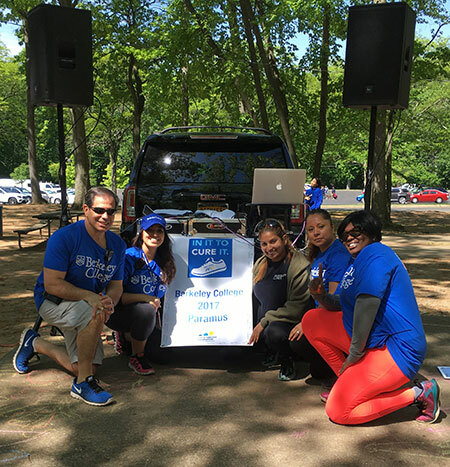 Photo Caption C: Berkeley College volunteers participate in the Great Strides for Cystic Fibrosis walk held on May 21, 2017, in Paramus, NJ, as part of Community Service Week. The 5K walk benefits the Cystic Fibrosis Foundation’s efforts to find a cure and ways to control cystic fibrosis, an inherited chronic disease that affects the lungs and digestive system of about 70,000 people worldwide.